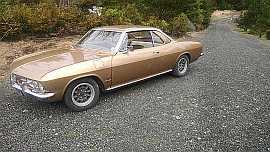 71k mile Monza, 110 pg, Madeira Maroon, fawn ( gold and off white) interior. seems to be solid and rust free. it has some issues, like non working heater blower, horn and gas gauge. it came with new carpet and headliner that have to be installed. esp the width of the rubber. the original off white seats were replaced at some point with worn black 65 seats, i will get the proper seat covers and the missing trim from Clark's. the car was written off as comprehensive insurance claim when a tree branch fell on it back in 1992, breaking the windshield and denting the roof. it then sat for many years in storage, until another owner bought it from the estate. he did the body repair and paint ( all trim, interior and glass was removed) and before he finished it, he died and the car sat for years again. without being re-certified for the road. a friend bought it about 5 years ago, he wasnt aware it was registered as salvage, and rebuilt the carbs, cleaned it up and got it running and driving again and put it away until he was ready to do the interior........ and get the car inspected and back on the road. i bought it without seeing it in person last year, and it will be going in for inspection and certification on April 18th. ive ordered a shop manual but it hasnt arrived yet. 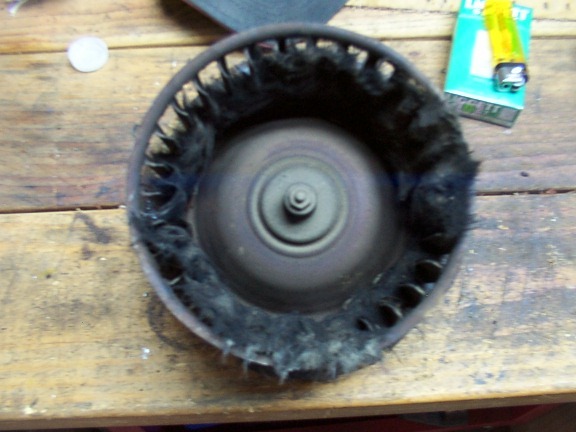 can someone advise exactly where the heater blower motor is located and how do i re & re it ? Congrats. It looks like you found a good one. Heater Blower in under car..... in front of right rear wheel.. One wire... pull off... jump 12 v + to the terminal and see what happens.... usually mouse nest! 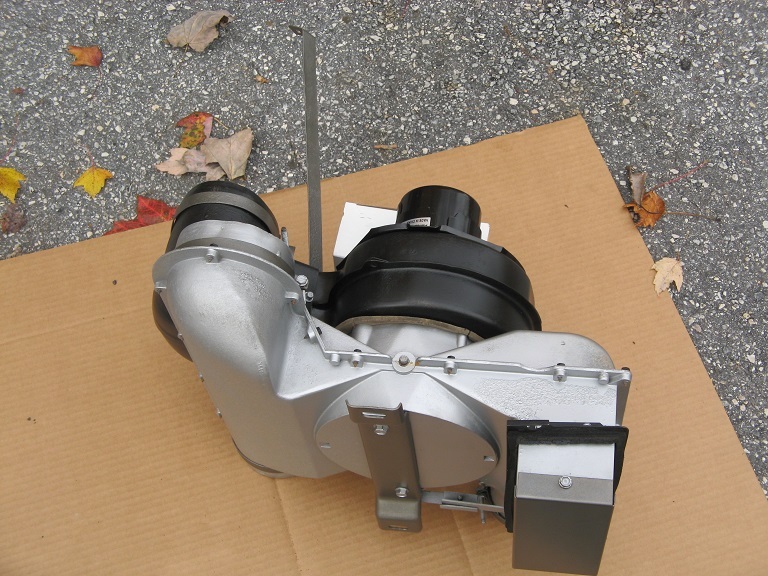 The heater unit with the blower motor is located above the transaxle and on the passenger side of the car. 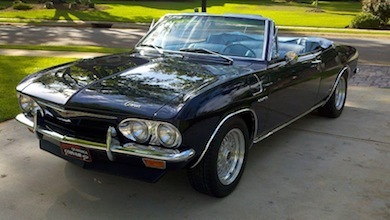 The attached photos are of one out of my 1965 Coupe which is a bit different than the 1966 and later unit. It should be a close enough representation to let you know what you are looking for when under the car. great, thanks for the info and comments guys ! the ca as the early car horns are. A Vairy nice car! Congratulations!!! Instead of putting in a "Corsa Dash" I would consider going to a "Custom Display" from Dakota Digital! I did this with my '67 4-Door Monza and love the setup. It looks 'stock' but has better and more displays than any other Corvair Instrument setup. Please look at the Dakota Digital website to see what I am talking about (www.dakotadigital.com)! I was the first person to ask them to do a Corvair Dash and they did an perfect job. They are very nice to work with. 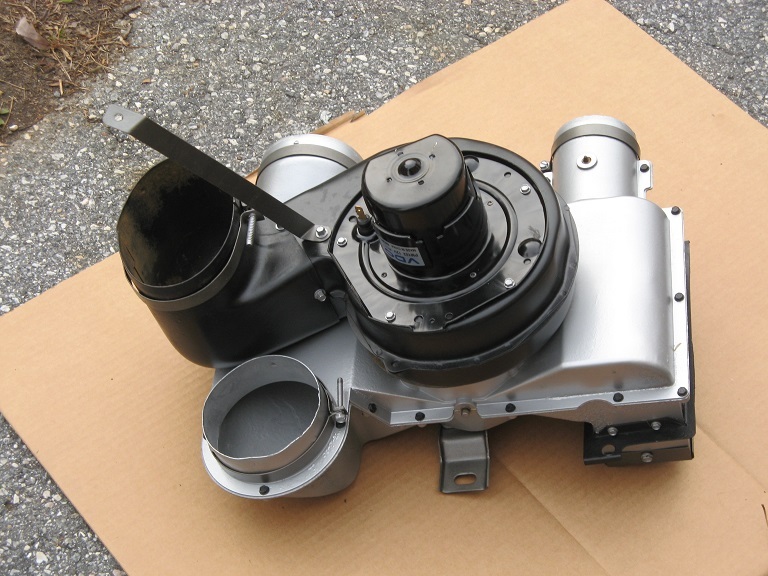 They are not 'cheap' but you get a lot of "bang for the buck" in a device that fits perfectly and didn't require moving the Powerglide shifter! 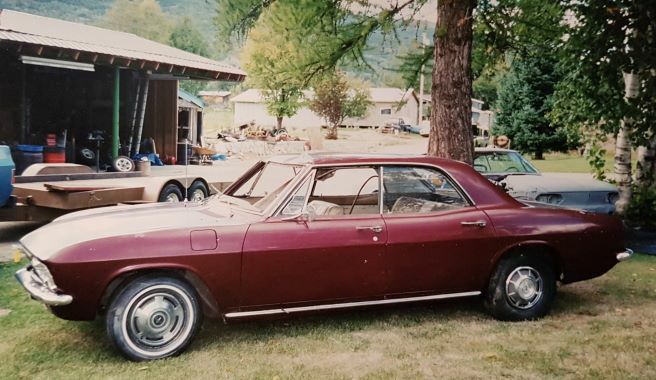 And NO, I don't work for or make anything from Dakota Digital, I just think the Corvair community needs to see what can be done! Those Monty wheels look pretty good too! 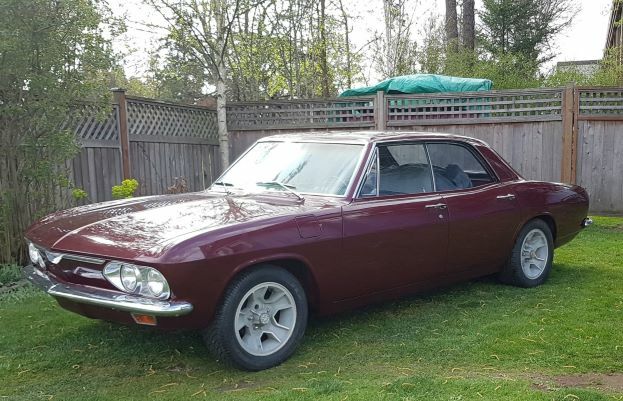 Get her inspected & certified for the road, and join those of us from WCC at the Hinton's Corvair reunion on May 18th! Here is a link to the report from last years Reunion. > the ca as the early car horns are. > Nice car enjoy it!! are the horns inside the headlight "pod", and how do i access them ? im guessing undo the bolt on the back and remove the headlight bezel from the front ? > A Vairy nice car! Congratulations!!! > what I am talking about (www.dakotadigital.com)! > needs to see what can be done! i already have the corsa dash cluster. i looked on dakota's site but found nothing for corvairs. > Those Monty wheels look pretty good too! > reunion on May 18th! I will look forward to seeing it! Remove the Bezels from the front. Then remove the frames that hold the headlight buckets. Now you should see the horns. You do NOT need to remove the pods from inside the trunk! If my memory serves me, the bolt you see on the trunk side of the pods is the bolt that holds the horns in place. If you remove it before you remove everything from the front, the horns will drop loose inside the pod. Edited 1 time(s). Last edit at 04/13/2019 11:21PM by American Mel. Horn relay is in trunk midway under left fender trunk seal lip. Much easier to verify electrics before going after the horns. Edited 1 time(s). Last edit at 04/14/2019 06:20AM by Lane66m. 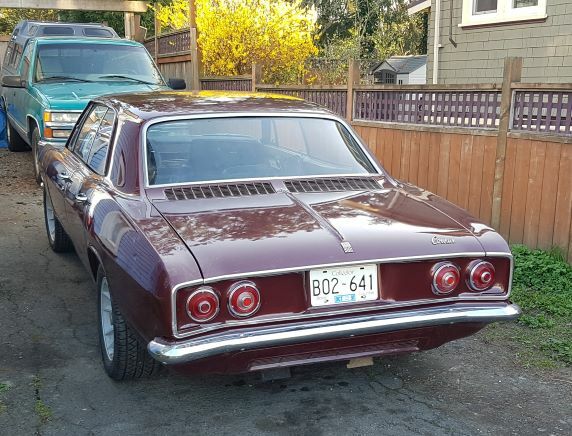 I will always believe that the LM 4 door hardtop is the most attractive of any Corvair. A beautiful design worthy of comparison to any car of the 1960's! There just isn't a bad angle on this body. A slow "walk around" will verify this. As much as I do enjoy Skyler the droptop Airvair; a well maintained/restored LM MoreDoor with working factory A/C could tempt me (again) to add to my driveway/carports.. 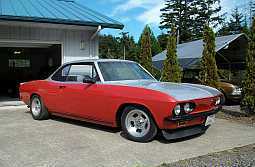 Yes, the Corvair Dash is still a "custom design" from Dakota Digital. I am hoping that my experience with them will get it to be a "stock item" at some point! 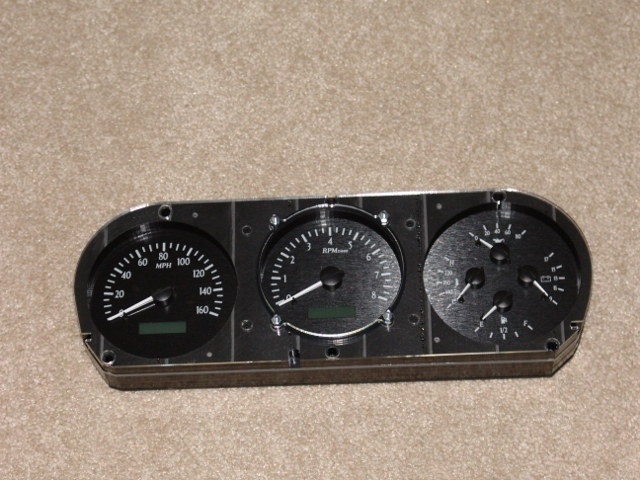 Here are a few pictures of my "Custom Display for the LM Corvair 3-Hole Dash!" The first picture is the Custom Display itself. 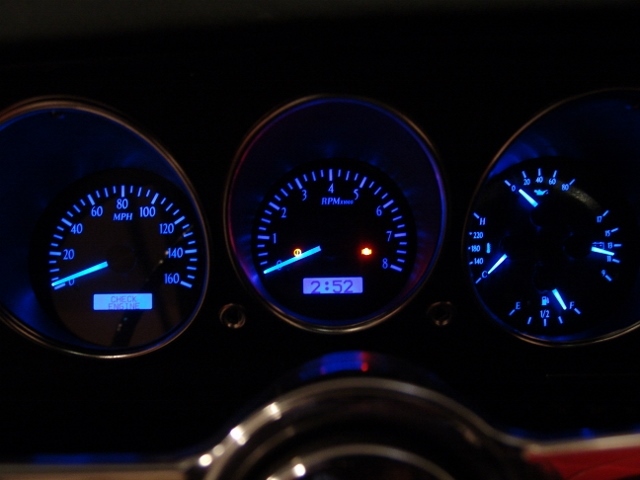 As you can see, it has the Speedometer on the left, the Tach in the center and the '4-gauge display' on the right. The '4-gauge display' shows Oil Pressure, Battery Voltage, Fuel Level and Oil Temperature. 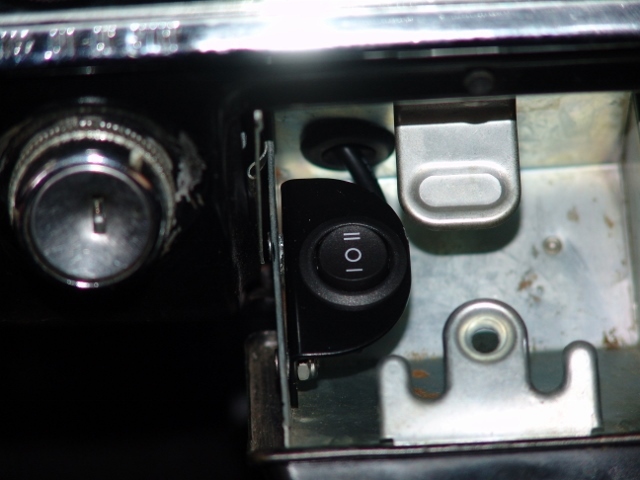 The second picture shows it installed in the car, with the Key in the ACC position. The engine is not running so there is no Oil Pressure or Temp showing. I have almost 3/4 of a tank of gas and the Battery is at 12 Volts. The Emergency Brake is ON, so the "Brake Light" indicator is ON. There is no oil pressure so the "Check Engine Light" is also ON. The LCD window in the Speedometer shows the Odometer reading in the 'normal' mode. The LCD in the Tach shows Time-of-Day in the 'normal' mode. The unit can be switched to various modes to show all of the options the unit can monitor. 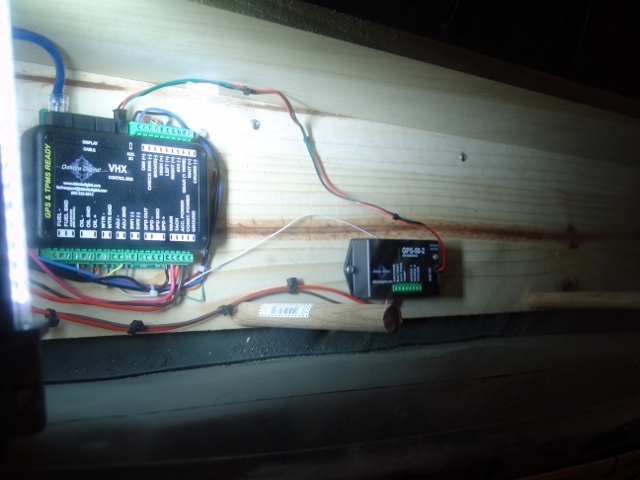 The third picture shows the "hidden push button" that allows the unit to be programmed and switched to various displays. The Dakota Digital "Custom Display" is a sealed unit with only 1 connector on the back! That is an RJ45 Data Connector that I have fed with a CAT6 cable from the Dakota Digital VHX Control Box. I used the VHX type of system because I wanted Analog displays (I am NOT flying the Starship Enterprise!) instead of Digital or Analog/Digital Mix (they offer all three). Each gauge has a real needle, driven by a miniature stepper motor. The backlight that I chose was BLUE. I put the Control Box in the "package area" behind the rear seat. I installed a connector that goes into the engine compartment for the data I wish to measure (this connector DOES NOT go thru the Air Box). I have more info if you are interested! I forgot to mention that I decided to go with the GPS Speedometer option! With new, larger wheels and tires and a really bad 50+year old cable it seemed to be the best idea. It works really great! Holding the Button in Position 2 while turning on the Key will put it in DEMO mode. You can also see readouts from up to 16 Buss Interface Modules which measure almost anything you can think of!! > I will look forward to seeing it! > Remove the Bezels from the front. > Now you should see the horns. 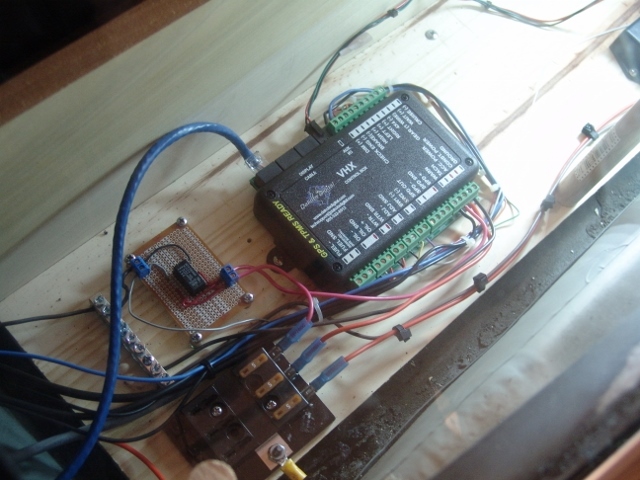 thanks al, we tested the relay yesterday and its bad. > "walk around" will verify this. i agree, i decided it had to be a 4dr hardtop for me. as a kid i remember seeing a judge's wife driving around in her evening orchid 65 4dr, it had the wire wheel hubcaps and whitewalls.